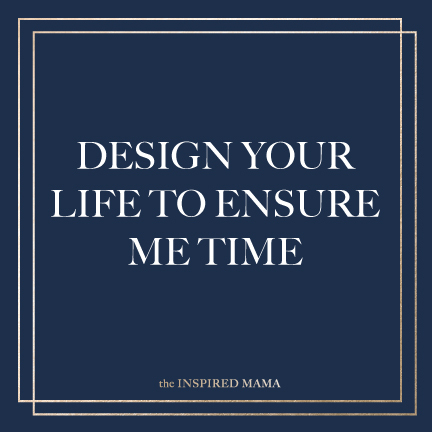 Most moms feel as if there is too much to do every day and not enough time to do it. But I’m here to tell you there’s a better way! If you feel like life has gotten away from you and it’s leaving you feeling overwhelmed, anxious, worried or depressed, then now is the opportune moment to take back ownership of your life and find your grace. The easiest path to, well everything, is figuring out what in life is most important to you. The key to living a joyful, meaningful, and fulfilling life is to pinpoint your core priorities and find your way back to all that really matters. Block in some time to inventory all the things, experiences, and relationships that are important in your life. Concentrate your time, efforts and energy there. Once you’ve distinguished what’s important, use your favorite calendar to schedule everything, and I mean everything! Block in time on your calendar without any plans. An hour here, and hour there—these built-in buffers can really add up and make an immense impact on your wellness. Ultimately, if something is important to you, it’s essential to get it into your calendar. Begin learning to say no by not agreeing to requests right away. There is no reason for you to have to answer in the moment before you have had the opportunity to decide if it is even something you want to do. Consider your answer carefully. Realize that it’s OK to say no to things that just aren’t important to you. Remember that you are not responsible for other people’s reactions, you are only responsible for yourself. Saying no may be a difficult change to make, but it offers the opportunity for growth by opening up space for us to engage in the activities, experiences and relationships that uplift us. It’s amazing the kind of time media steals from your life. Access the amount of time spent watching TV, reading magazines, newspapers, radio, etc. Most everything you see or hear is redundant and catastrophic. Be very selective in where and what you choose to consume. For a great deal of moms, the internet is nothing but a time waster. Yes, checking in with friends on Facebook can be great fun and useful—it’s the next 2 hours that disappear that is the problem. The internet can be a great tool and can help us get a great deal accomplished, but only with direction. Before you hop online-determine what it is you want to accomplish and set a time limit for yourself. There are so many things these days that can be automated and outsourced. I recently started using Instacart for my big grocery shop once a week. With the service charge and tip, it averages an extra $15 per shop. The extra 1-2 hours it saves me from driving and being in the actual store is well worth that extra cost. Some other things to consider: cleaning, laundry, home repairs, lawn maintenance, food prep/delivery, automatic payments for monthly bills, email filters, your calendar, using a ride service, online shopping, greeting cards—you get the idea. Get into the practice of listening to your body. This means slowing down, turning off the noise and asking yourself questions in order to hear what it is you really need. So often, we run around doing a million things without noticing hunger, thirst, or exhaustion. Take a deep breath and ask yourself: How am I feeling emotionally? Do I have/ where is there tension in my body? What is it I really need in this moment? What am I focused on? All of these questions will help you tune in to what your body wants from you. You are worth taking care of! 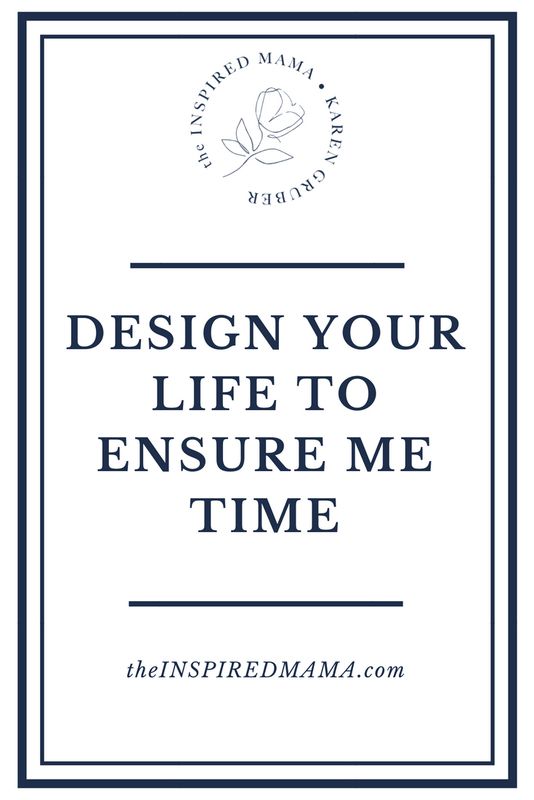 Getting more ME time in your life might seem difficult. It is far easier to pay attention to what’s going on around you versus what’s going on within you. Yet, all the strategies in the world will not save you until you believe, with every cell in your body, that you are worth taking care of. When all is said and done the only person responsible for you is you!! Are you so busy with the urgent things in your life that you never get around to what’s truly important? In the Mom Camp-Find Your Grace experience, you’ll discover five proven strategies to create more room in your life for what truly matters. You can’t buy the Mom Camp-Find Your Grace experience… There’s only one way to get it—by reserving your FREE spot here.